There are so many artifacts and remnants of the past that still cannot be explained. 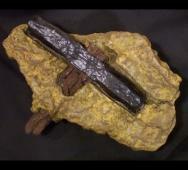 How were these objects created with limited technology and knowledge? Really mind boggling stuff here in this video. Thanks to Beyond Science for posting this video. 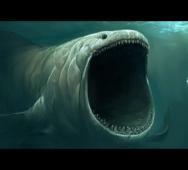 Ever pondered for a second what is the biggest creature under in the ocean depths? This video features a strange sound that was recorded that originated from a massive creature making the killer whale dwarf in comparison. Thanks to Strange Mysteries for creating this video. 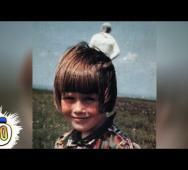 Came across this video and thought that you would enjoy watching this short video detailing some and the most mysterious photos that should not exist. 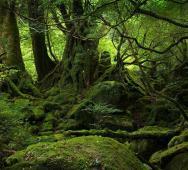 From cryptozoology, strange creatures, time travel, monsters, and just plain strange and unusual unexplained phenomenon. Tell us in the comments what you think of this video and if you would like to see more like this posted more frequently. Thanks to Planet Dolan for making this video. Sony Pictures Entertainment and Burr Steers’ and Pride and Prejudice and Zombies (2016) releases in movie theaters on February 4, 2016, via Screen Gems. We are nearing the end of the promo material for the upcoming zombie film so today we have 14 new photos and a movie clip titled “Enviable Talent.” Pride and Prejudice and Zombies is based on Seth Grahame-Smith‘s novel and stars Lily James, Sam Riley, Bella Heathcote, Matt Smith, Jack Huston, Douglas Booth, Charles Dance, and Lena Headey. Megalyn Echikunwoke will play Vixen in the upcoming episode 15 of CW’s Arrow TV series that will air on February 24, 2016. Megalyn Echikunwoke voices the character on CW’s Seed series Vixen, the animated Vixen TV series. It is awesome that Megalyn Echikunwoke can also play the same role in the live-action version too. This news is another example of excellent casting. Tim Burton‘s Beetlejuice (1988) starring Michael Keaton is featured in the latest Sixth Scale Figure from Sideshow Collectibles. Sideshow Collectibles Beetlejuice released this past January 21, 2016. Check out the photo gallery below along with the Tombstone figure. Currently, the Beetlejuice figure retails for $239.99; Tombstone retails for $124.99, and the Beetlejuice & Tombstone Bundle retails for $339.98. 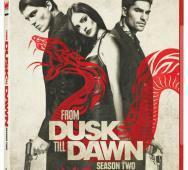 El Rey‘s From Dusk Till Dawn Season 2 releases on Blu-ray / DVD this upcoming February 2, 2016. 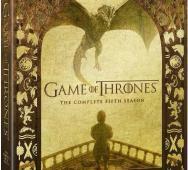 There is also a boxed set releasing the same day including both Season 1 and Season 2 which is an Amazon exclusive. There is a slew of bonus features, but the one I am most interested in is an audio commentary with Robert Rodriguez and cast & crew. The El Rey Network tapped the right guest star to host their Nightmare on Elm Street Marathon, no other than Robert Englund (Freddy Krueger himself). 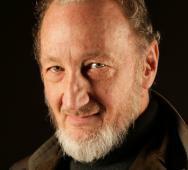 Robert Englund can talk forever and has that special charisma to pull it all off. Below are the full details on scheduling all starting on February 13, 2016, with Freddy’s Nightmares TV series episodes and ending on Valentine’s Day with Nightmare on Elm Street 5: The Dream Child (1989). HBO‘s Game of Thrones Season 5 Blu-ray / DVD releases this March 15, 2016. The Blu-ray and DVD have some notable extras listed below. The Blu-ray will retail for $79. 99 and the DVD for $59.99. How many of you will be buying this set? 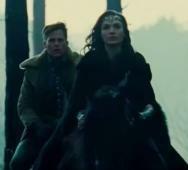 DC Comics, Warner Bros., and Patty Jenkins’ Wonder Woman (2017) releases in movie theaters June 23, 2017, but we have the first footage video here. Lots of new footage and scenes to see. DC Entertainment and The CW dropped this video last night. Chris Pine can also be seen as Steve Trevor. Also starring in Wonder Woman is Robin Wright, Danny Huston, David Thewlis, Ewen Bremner, Said Taghmaoui, Elena Anaya, Lucy Davis, and Connie Nielsen. 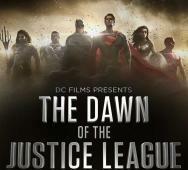 Warner Bros., DC Comics, and Zack Snyder’s Batman v Superman: Dawn of Justice (2016) releases in movie theaters this upcoming March 25, 2016. I bet they could never have dreamed up something as funny as this parody weird trailer. I couldn’t stop laughing and had to watch it twice. Aldo Jones did great with this video. Anchor Bay Entertainment is bringing us the Fear The Walking Dead: The Complete First Season Special Edition Blu-ray/DVD on March 22, 2016. This special edition will include new deleted scenes, featurettes, and audio commentary for each episode. Complete details on this release are listed below. Curious what you think of this special edition release, leave your comments below. Seeing Pyramid Head’s Great Knife in Silent Hill was one of the most terrifying aspects of the game. 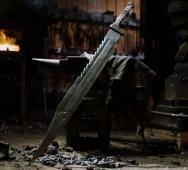 Man at Arms: Reforged recreated the iconic weapon on the latest episode. Tell us about your memories of Pyramid Head from Silent Hill and this video in the comments below. Paramount Pictures and Plan B’s World War Z 2 (2017) is the World War Sequel and has lost director Juan Antonio Bayona (The Orphanage (2007), The Impossible (2012)) to scheduling issues. Bayona’s latest movie, A Monster Calls (2016), is running a little behind schedule and caused him to decline from filling the director shoes on World War Z 2. 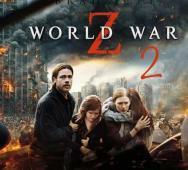 World War Z 2 is still set to release in movie theaters on June 9, 2017, with Brad Pitt returning as Gerry Lane. Robert Kirkman shared some great news for many of you who have not read The Walking Dead comics, and for those of you wondering if the TV series will remain true to the comic in this regard. Kirkman confirmed that like in the comic book when Negan (played by Jeffrey Dean Morgan) is introduced, nothing will be the same again. 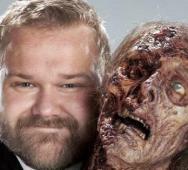 Read the full details and excerpts from the Robert Kirkman interview regarding AMC’s The Walking Dead Season 6 below. The Walking Dead returns this upcoming February 14, 2016. 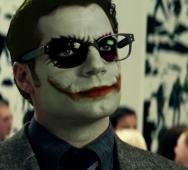 DC Films (DC Comics) just revealed their first concept art for Zack Snyder‘s The Justice League Part One (2017). The CW will air a special event tonight with footage, images, and more. Featured in this image is Henry Cavill‘s Superman, Ben Affleck‘s Batman, Gal Gadot‘s Wonder Woman, Jason Momoa‘s Aquaman, Ray Fisher‘s Cyborg, and Ezra Miller‘s The Flash. Tell us what you think of this news in the comments below. Netflix's JESSICA JONES SEASON 2 Confirmed! Marvel and Netflix’s Jessica Jones Season 2 is officially confirmed. 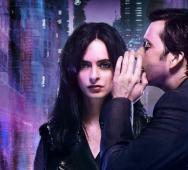 Jessica Jones Season 1 did exceptionally well for Netflix even though many Marvel fans were worried about the direction of the show. Jessica Jones Season 2 is getting 13 new episodes. Melissa Rosenberg returns as the executive producer and showrunner. Krysten Ritter played Jessica Jones perfectly and will also return. Jessica Jones took the Marvel Comic Universe (MCU) to an all-new deep dark place. 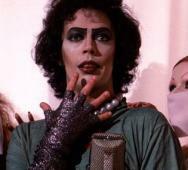 Fox’s The Rocky Horror Picture Show Reboot has just gained Tim Curry to the cast. The Rocky Horror Picture Show (2016) will feature Curry as the “Criminologist Narrator” with Laverne Cox playing Curry’s former role as Dr. Frank-N-Furter. Are you happy to have Tim Curry back in the cast, leave your comments below?